Make sure that your resume includes a chronological work history. Other Positions: Bachelor’s degree in Business Administration, Public Administration, Human Resources Management, Urban Planning, or a closely-related field is required. 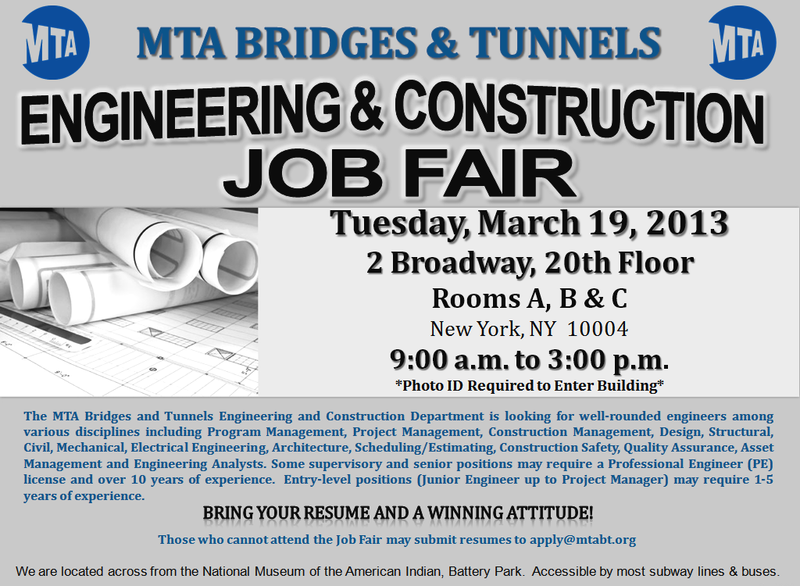 For more information, visit the MTA’s website: http://www.mta.info/bandt/employ/jobfair_r1008.html.